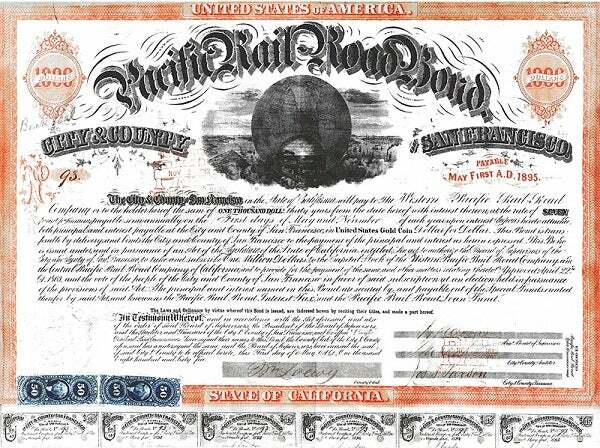 Long before there were corporations that issued shares of stock for investment, there was the systematic use of debt to raise money. Debt involves borrowing money with the promise to pay it back in full, along with interest over time. The guaranty assuring that promise is known as a bond. In other words, bonds represent debt obligations. Bonds have been around for millennia. The ancient Mesopotomia city of Ur in what is today Iraq had a bond market around 2400 B.C., guaranteeing repayment for borrowed grain. Kings, and later democratic governments often borrowed by issuing bonds to fund wars and territorial expansion. In modern times, governments still borrow to undertake projects, but there is also a thriving market for bonds issued by corporations, who borrow for expanding profitable undertakings. For example, a company may borrow in order to acquire a competitor, to build a new factory, or to hire personnel. Bonds are fundamentally different from stocks in a number of ways. Shares of stock represent claims on profits and confer voting rights to shareholders and the price of stocks thus vary with expectations of future profitability for the firm. Bonds, on the other hand, represent debt repayment obligations and are priced based on factors such as the likelihood of being repaid. In the modern economy, most diversified investment portfolios contain some allocation each to stocks and bonds, where bonds are often considered the more conservative choice of the two. For a number of reasons that will be discussed in this tutorial, bonds do offer some safeguards that shares of stock lack. This tutorial will hopefully help you understand bonds, and to determine whether or not bonds are right for you. We'll introduce you to the fundamentals of what bonds are, the different types of bonds and their important characteristics, how they behave, how to purchase them, and more.